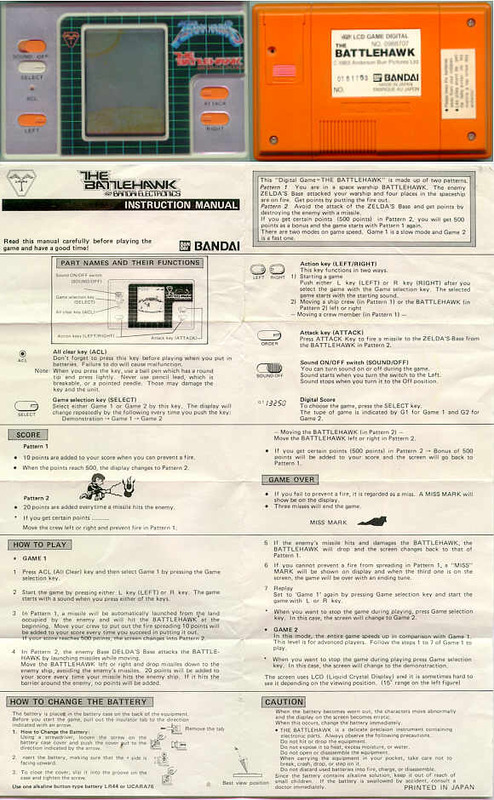 Bandai LCD electronic game 'Battlehawk', serial number 0181703 with original instruction sheet, from 1983. One of the rarer items. It is rumoured that there is another version of electronic game with twin sceens, it is not known if it was made by Bandai or other manufacturer, any information would be appreciated.